Since returning from Rome I've had quite a few people ask me how I found it eating vegan there and before I went I was honestly expecting it to be a bit of a challenge as let's face it, Italian cuisine is largely based on carbs, cheese and meats. 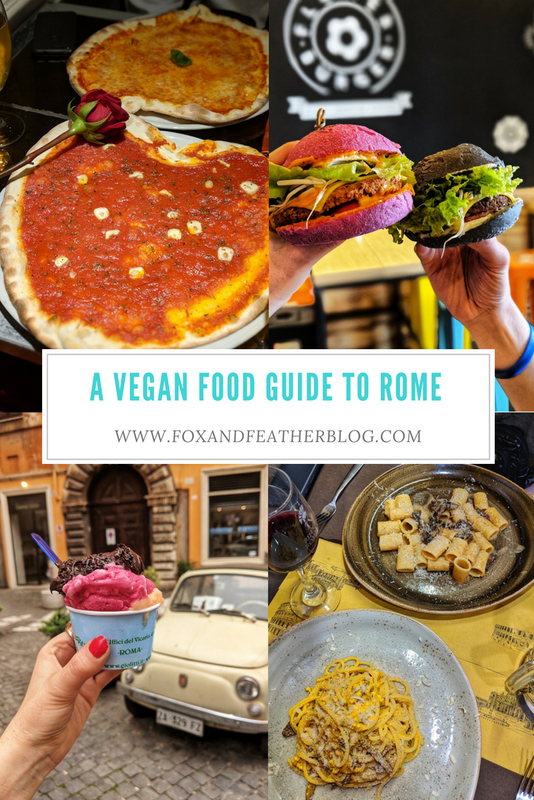 However, I was surprised at how easy it was to seek out vegan food in Rome when we were there with a little help from TripAdvisor and HappyCow. 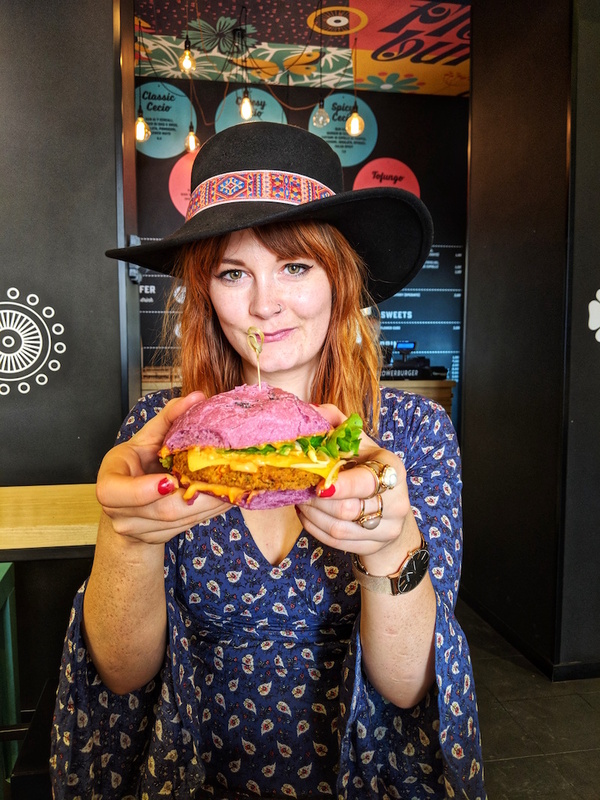 If you're a fellow vegan or plant-based being and you have worries about being vegan in Rome, then don't as there are plenty of places to eat and you certainly won't go hungry whilst you're there! Flower Burger was on my list before I had even arrived in Italy; I was sucked in by the promise of entirely vegan, multi-coloured burgers. One afternoon after our trip to the Vatican City, we took a stroll to Flower Burger, which is around 10 minutes or so from St. Peter's Basilica so it's a good place to stop off at after a trip to the Vatican City. 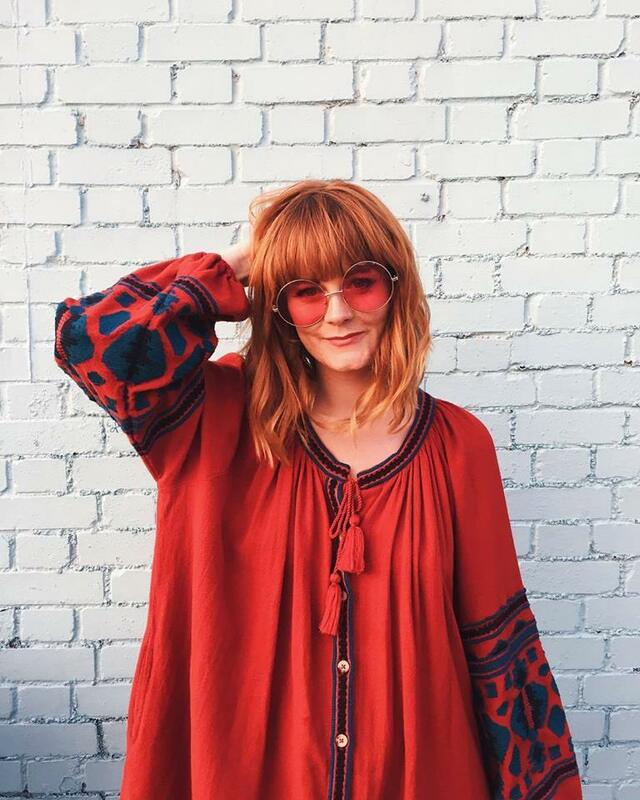 Their menu is 100% vegan and everything is handmade in-house with fresh ingredients. It's definitely more of a fast-food joint than a place to head for a sit-down evening meal but it's the perfect place to stop off for lunch if you're in the area. 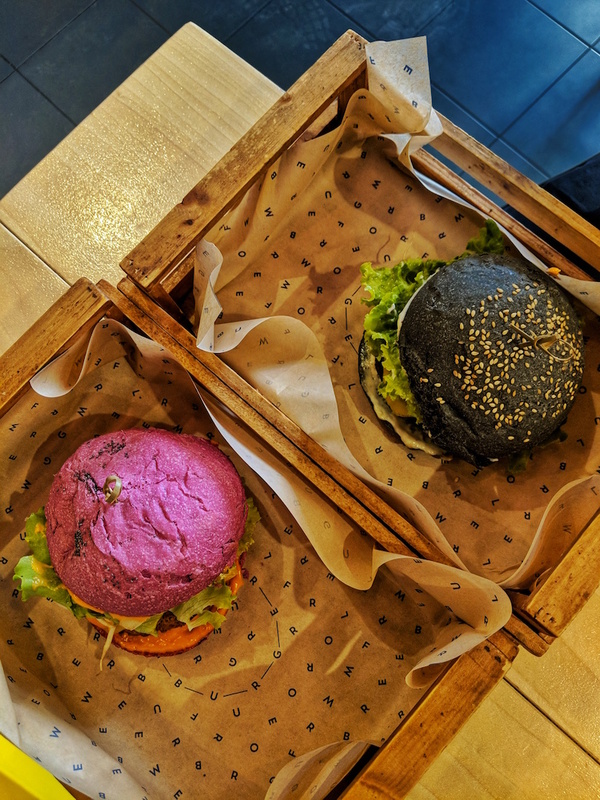 We opted for the 'Cherry Bomb' with the pink bun and the 'Flower Burger' with the black bun and both were pretty darn delicious! You can add a side of potato wedges for an extra 3 euros but we wanted to save some space in our stomaches for a pizza elsewhere afterwards! 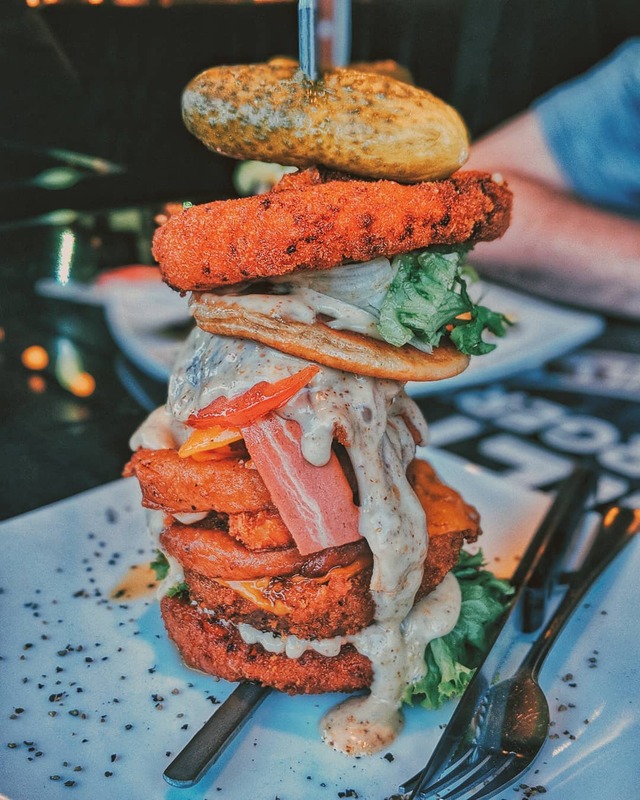 Whilst burgers may not be typical Italian cuisine, a trip to Flower Burger is definitely worth a stop whilst you're in the city. We stumbled across little cafe, La Follia, whilst hunting down a spot for lunch after our tour of the Colosseum. It's just a few minutes walk away and is a modest, unassuming little café that hosts a number of vegan specials each day. From the menu outside, you wouldn't really know they offered vegan dishes but if you take a wander inside you'll find the vegan menu behind the counter on a chalkboard. 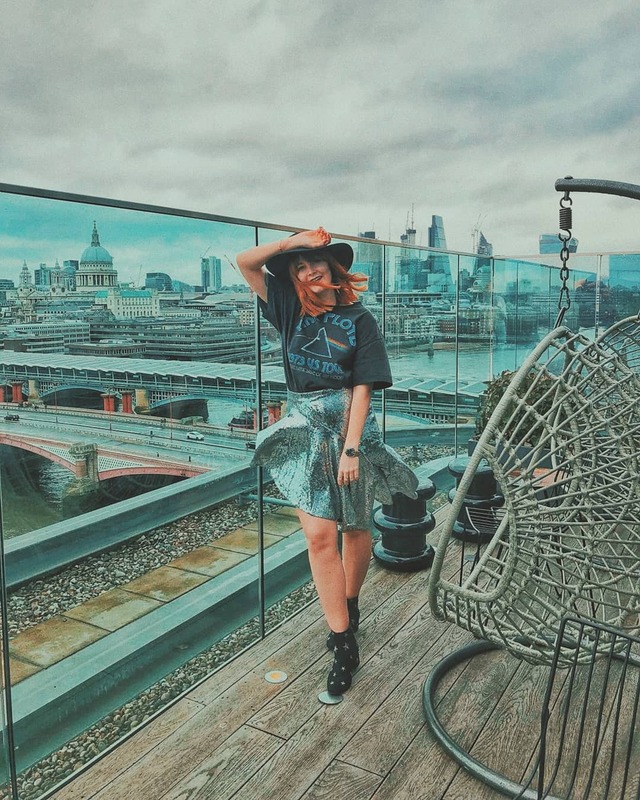 I'm not going to lie to you; I couldn't actually remember the name of this place so I had to do a little research online to remember it and there are quite a few scathing reviews of the place. However, we had a pretty good experience at La Follia considering we simply stumbled in off the street, guided only by our rumbling stomaches. I had their vegan pesto pasta accompanied by a glass of their vegan wine and it hit the spot perfectly. If you're in the area and you're looking for a quick and affordable vegan dish then it's definitely worth dropping in to see what's on the menu. 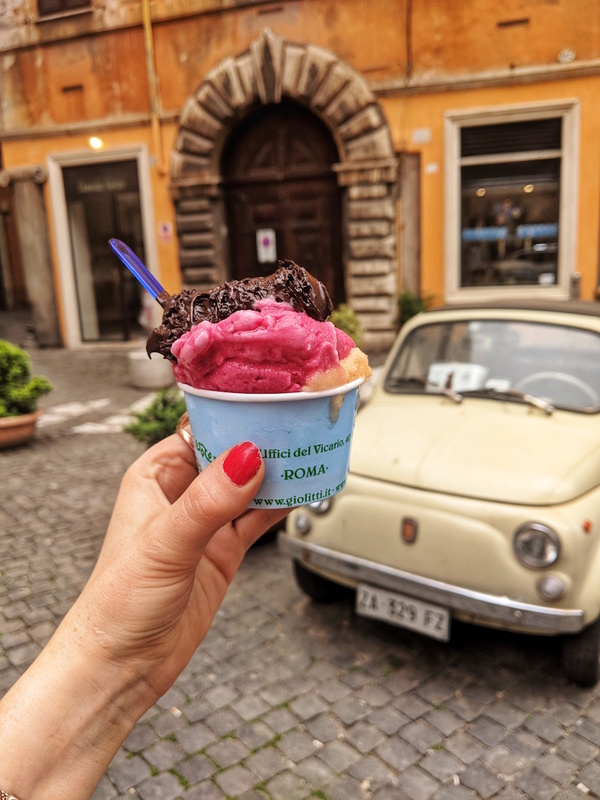 Whether you're vegan or not, no trip to Rome is complete without tasting their famous gelato. Of course, most gelatos are made specifically from dairy but I was pleasantly surprised at just how many gelaterias offered vegan options too! One of our stop-offs was the famous Giolitti, located pretty close to the Pantheon and offers around 7 or 8 dairy-free options - look for the flavours that read 'milk-free' in brackets. Admittedly, the experience itself was absolute chaos as Giolitti is constantly flocked with tourists and locals alike and you quite literally have to fight your way to the counter. After a mild scramble, we came away triumphantly with a 3-scoop vegan cup that included dark chocolate, pomegranate and mango gelato - mmm! 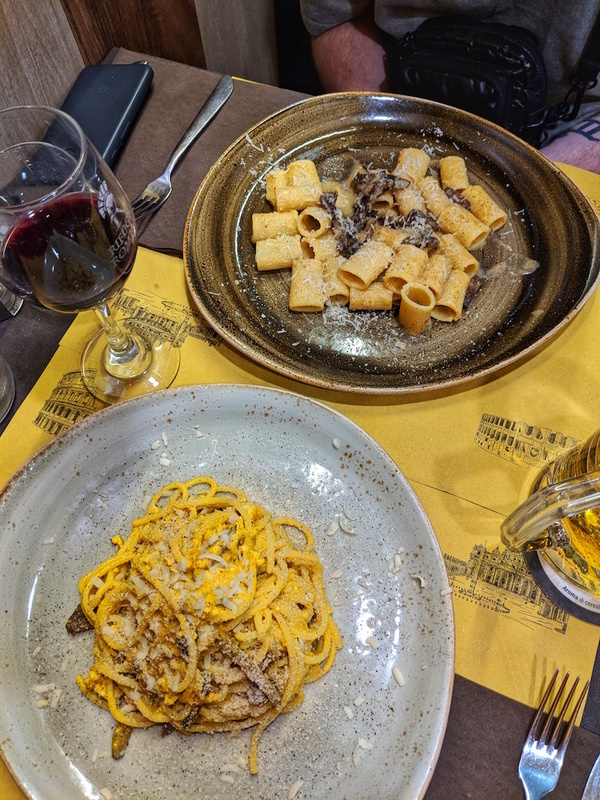 Without a doubt, Rifugio Romano was my favourite vegan discovery whilst in Rome and typically we discovered it on our very last night and it was just a few minutes walk from our hostel. I suppose if we had discovered it on the first night, it's likely that we wouldn't have eaten anywhere else because the vegan menu at Rifugio Romano is extensive! Despite not being a vegan-dedicated restaurant, Rifugio Romano offer a five-page menu of traditional Italian dishes that are all entirely vegan. I honestly couldn't contain my excitement when I saw a vegan spaghetti carbonara on the menu as I haven't actually eaten a carbonara since I became vegetarian a year and a half ago, let alone since my switch over to a vegan diet and it used to be one of my favourite dishes! The carbonara was absolutely heavenly with pieces of smoked seitan used as mock bacon and used a scrambled tofu to replicate the egg used in traditional carbonara. James opted for the Mezzamancia alla Gricia, which is a short pasta with smoked seitan, vegan cheese and black pepper, which was equally delicious. Even James as a non-vegan (he's vegetarian) could not get over how incredible the pasta dishes were! As I was so overwhelmed with the amount of choice and it was our last night, we went and ordered a second main course because 'when in Rome'! They have a huge number of vegan pizzas and calzones available but I ended up going for their 'Capricosa' (pictured in the top photo with me lovingly gazing at it), which was topped with tomato sauce, mushrooms, artichokes, olives, vegan mozzarella, mopur (the salami style pieces) & tofu with turmeric. I was so stuffed that I didn't have the room for their vegan tiramisu, which I was pretty heartbroken over. I guess that vegan tiramisu is a good excuse to return to Rome though, right? After checking into our hostel, The Beehive (read more about our stay here), we wanted to grab some lunch pretty close by before beginning our day. Linda from The Beehive recommended that we take a stroll around Mercato Centrale inside the Termini station, which is essentially a food court with lots of different caterers & food stalls dotted around. Obviously, the main stall that caught my eye was a vegetarian and vegan stand. Whilst I can't remember the exact name of the company (nor can I find it anywhere on the web) but I think it could be 'Veg & Veg' - they're not hard to miss as they're the only specifically vegetarian & vegan dedicated stall in the hall. 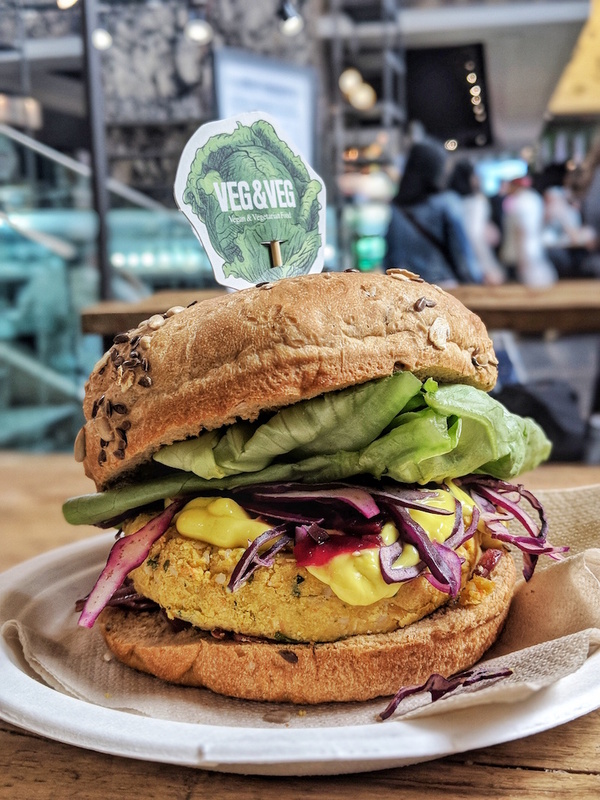 On offer are a selection of salads and plant-based burgers - I obviously went for the latter! 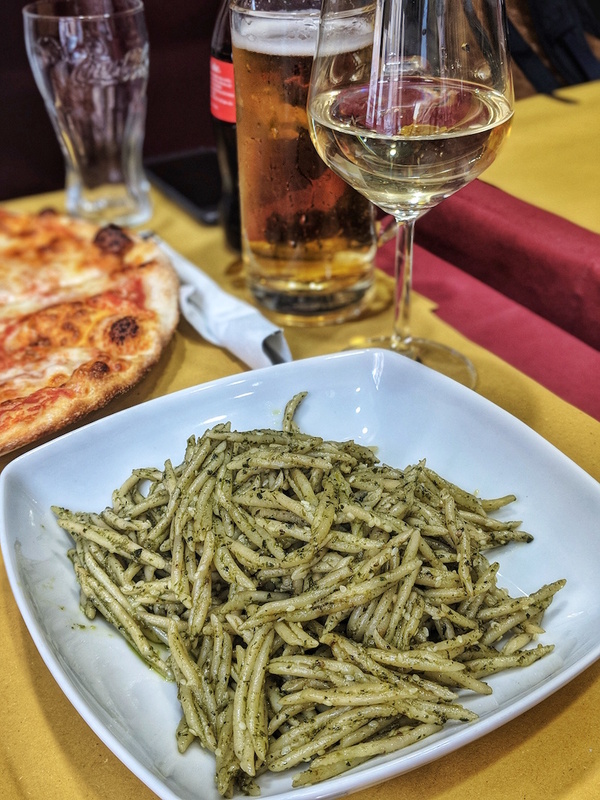 Even without much research into vegan food in Rome, you're still likely to get by just fine by dining in traditional Italian restaurants or trattorias that you may stumble across whilst exploring. That's exactly what we did when we chanced across That's Amore, located just a stone's throw from the Trevi Fountain. I'm always a bit skeptical of restaurants that are close to tourist attractions as you usually find the quality of the food isn't too great as restaurants in tourist-flooded areas tend to survive because of the footfall alone. Luckily that wasn't the case with That's Amore! We were actually quite lucky to get a spot in That's Amore that particular night as it was almost fully-booked and walk-ins tend to have to wait quite a bit of time but luckily they managed to seat us almost instantly. When we left the restaurant though there was a huge queue trailing along the street to get into the restaurant so be warned that it may be best to book if you do want to eat there. 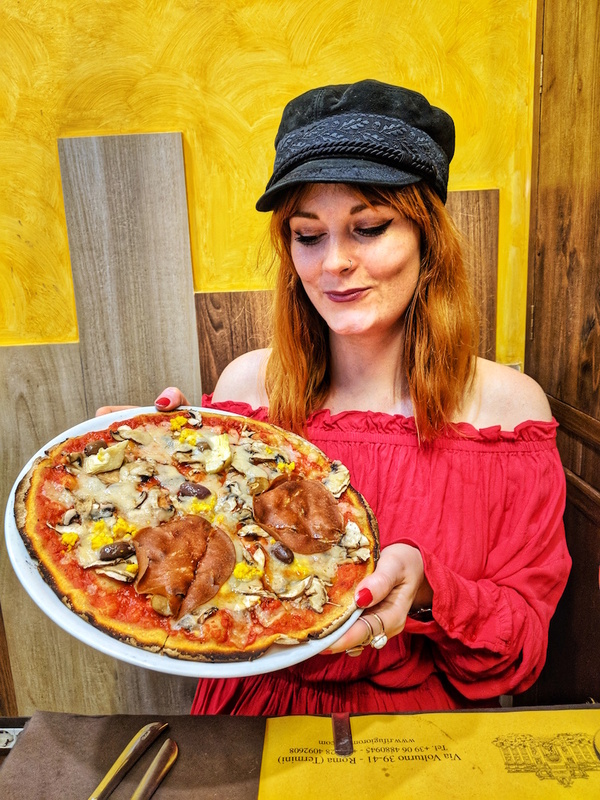 You'll find the option of 'Marinara' pizzas on most restaurant menus in Rome, which is essentially a cheeseless pizza that is topped with a tomato marinara sauce, oregano and garlic; it's a traditional Italian pizza dish and is completely vegan. 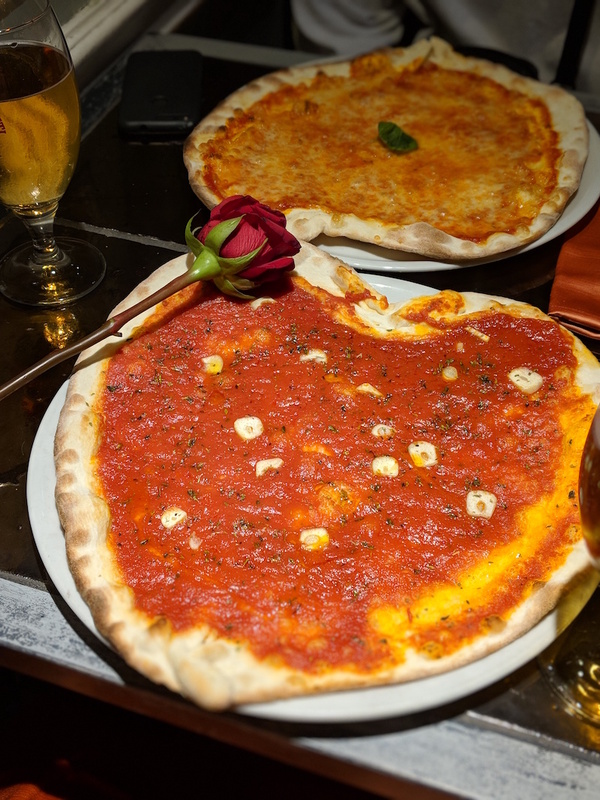 I used to be very anti pizza without a form of cheese substitute but the marinara pizzas I had in Rome were some of the best pizzas I've ever eaten in my lifetime, including the one at That's Amore (which also happened to be heart-shaped)! Yep, this is another gelato recommendation for you because you can never have too much gelato when in Italy - fact! 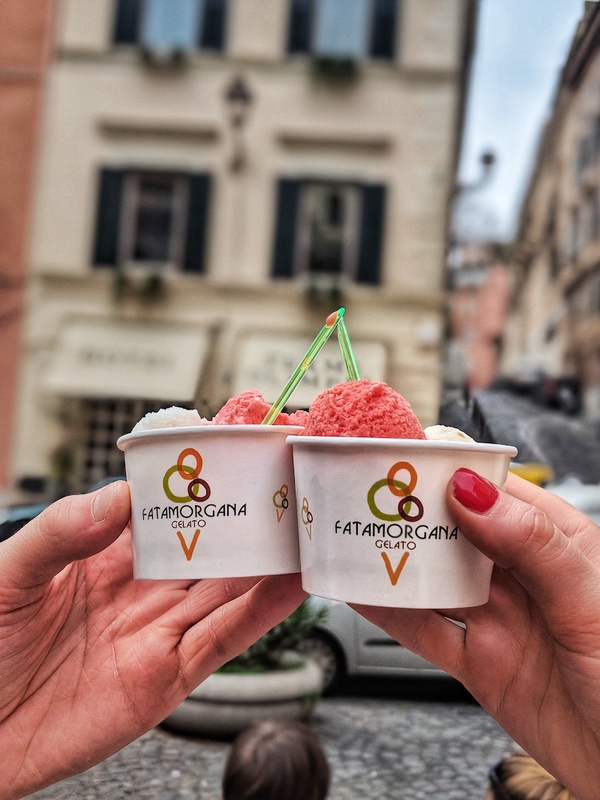 We stumbled across Fatamorgana on our first day when we were letting our feet guide us through Rome and we were instantly intrigued because of the huge queue outside of the tiny gelateria. A huge queue is always a good sign, right? It turns out that Fatamorgana is well-known to be one of the best gelaterias in the city so we were pretty lucky to just chance across it on our first day. They have a number of vegan flavours available and unlike most vegan gelatos and sorbettos, theirs is not soy-based but instead is completely water-based instead, which is great news for those who have a sensitive stomach to soya. Also it's worth mentioning that all of their options are gluten-free too, so they have something for everyone! Unfortunately they don't have any seating inside as the place is literally tiny so you have to each your gelato on the go or perch yourself on the wall outside like we did. Wow Im not a vegan so Im not sure of what kind of menu you get elsewhere in the world but Rome really looks to have a delicious and diverse menu! I loved Rome and although I'm not vegan I'd be tempted to try one of the Flower Burgers - and of course plenty of ice cream. I wouldn't have thought Italy had a lot of choice for vegans but it's great there is so much choice in so many different places. 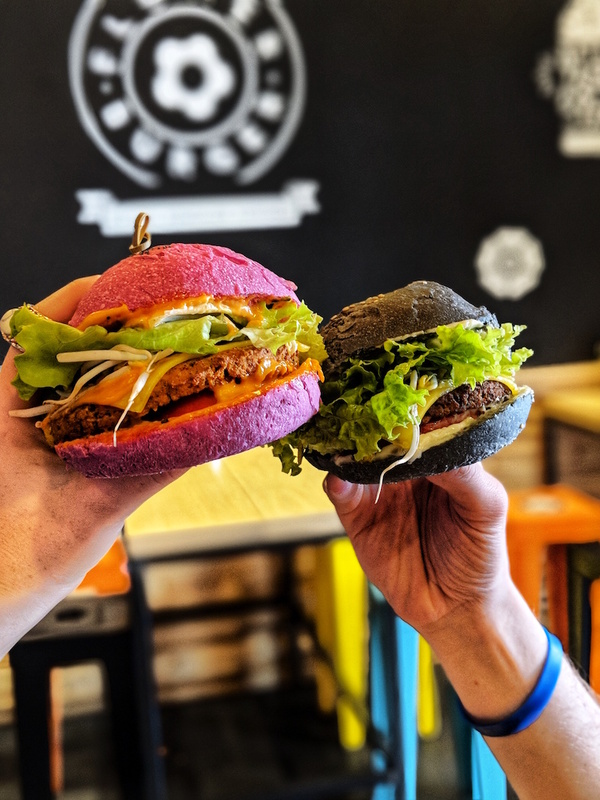 The burgers from Flower Burger look amazing! OMG this blog post just made me seriously hungry! I'm not Vegan but I'd love to head to some of these places.